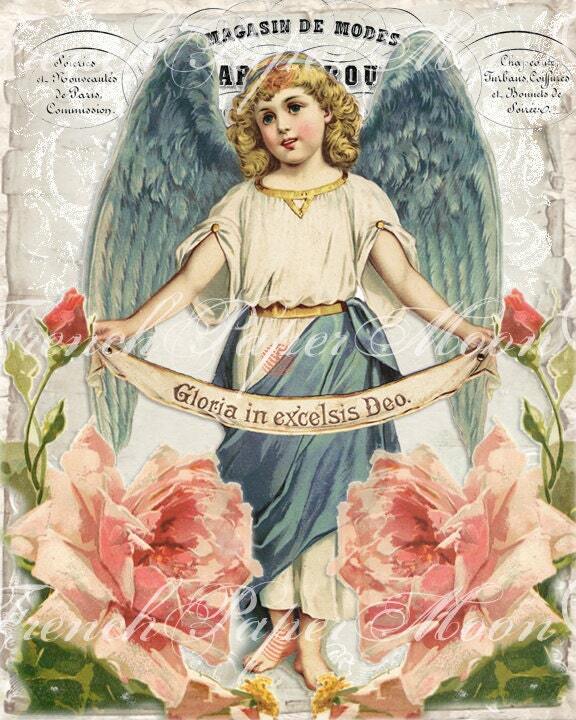 Adorable vintage French Angel collage sheet. 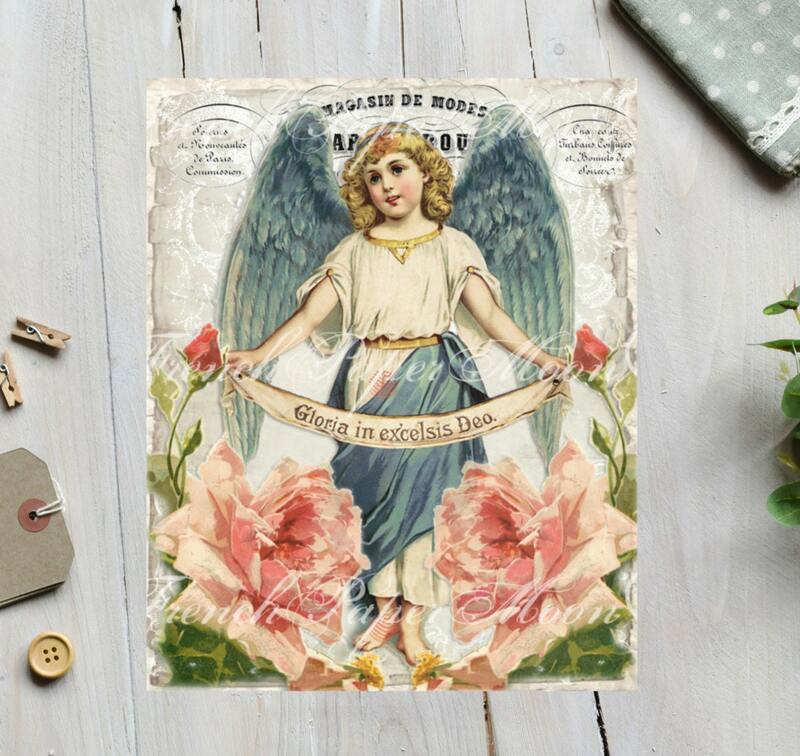 Perfect to add a vintage touch to your Christmas crafts and decor. You will receive 2, 8x10" JPEG images, one reversed.